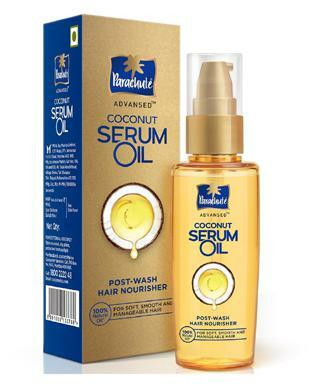 Now get super-nourished, gorgeous hair after every shampoo wash with the all-new Parachute Advansed Coconut Serum Oil. It makes your hair soft & smooth without weighing it down and keeps perfectly set, all the time. A unique blend of coconut oil and conditioning serum, this Serum Oil is the perfect light-weight post-wash hair nourisher.